New for 2013 is Weatherby's Back Country Series 2 version of their popular Howa-actioned bolt action rifles. It is coated with a CeraKote® Tactical Grey finish for better external weather resistance, has a fluted barrel which combined with a spiderweb composite stock is designed to shave weight off of the standard Vanguard line. That it does, dropping about three quarters of a pound from the standard synthetic and walnut Vanguards. It also raises the retail price from $649.99 (standard synthetic) to a wallet flattening $1399 MSRP level. The action, barrel length of 24 inches, controls, etc., are unchanged from the recently reviewed Vanguard Series 2 Sporter in .270 Winchester. 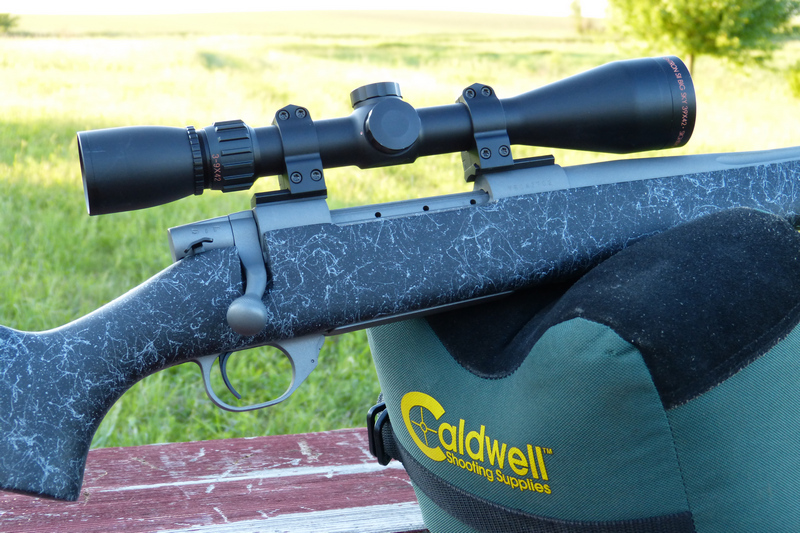 After scoping this rifle up with a Sightron Big Sky 3-9 x 42 on top of steel Warne 2-piece bases and Warne Maxima rings, we headed off to the range. Three types of ammunition were used: Remington 180 grain Swift A-Frame, 180 grain Winchester E-Tip, and Federal 165 grain Trophy Bonded tip ammunition. None of the ammunition grouped particularly well: the best of the bunch was easily the Remington Swift A-Frame in this rifle. However, even the Swift A-Frames struggled to get into the 1-1/2 inch 100 yard group range, unimpressive for a Weatherby Vanguard and poor compared to the 3/4 MOA Vanguard .270 Winchester we reviewed. The trigger was lackluster as well, breaking at 4 pounds after initial take-up. Not nearly as nice as the .270 Vanguard Sporter, that had a superlative 2-3/4 pound trigger. · Approximate Weight: 6-3/4 lbs. The short, if not particularly sweet conclusion based on the tested article, is not highly favorable. Although this rifle does deliver on its promise of less weight, the just adequate accuracy, heavier than ideal trigger, and salty price all point back to the Vanguard Sporter instead of the Back Country. The Vanguard Sporter is a far better-looking, better performing rifle at a far more modest price based on our testing.